I discovered fried pizza in Italy, I had no idea it even existed and I was amazed how nice they were. It’s simply the same pizza base that’s deep fried instead of baked. 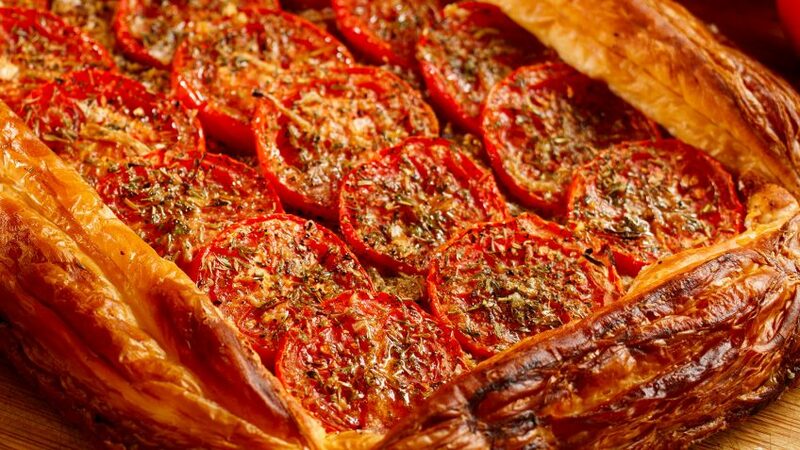 Originated in Napoli, it can also be made into a calzone which seals the ingredients on the inside. This is called a Panzerotto. I prefer the open method as you get more flavour from direct heat rather than steam. I made this recipe using a mixer strong enough to handle pizza dough, you can also do it by hand, by kneading the dough until silky. 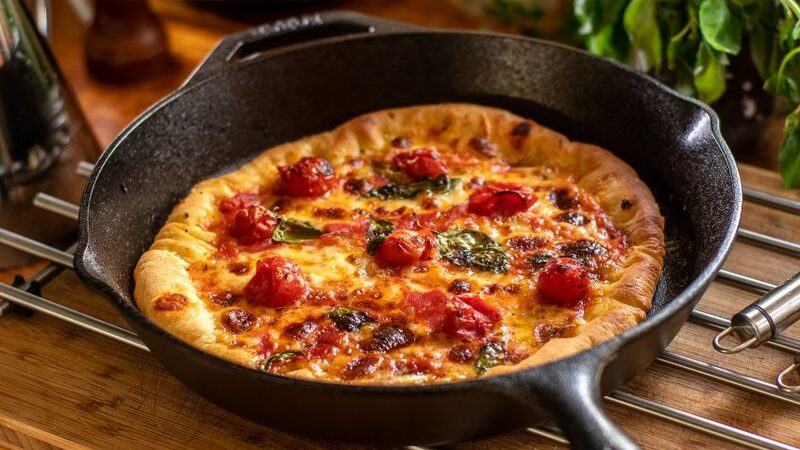 Once you start frying that pizza dough, you’ll want to eat the dough with or without topping, it’s so crispy and it’s that good! I kept this recipe very simple as I believe it needs to be. Of course it’s a pizza and you can add the toppings you like. 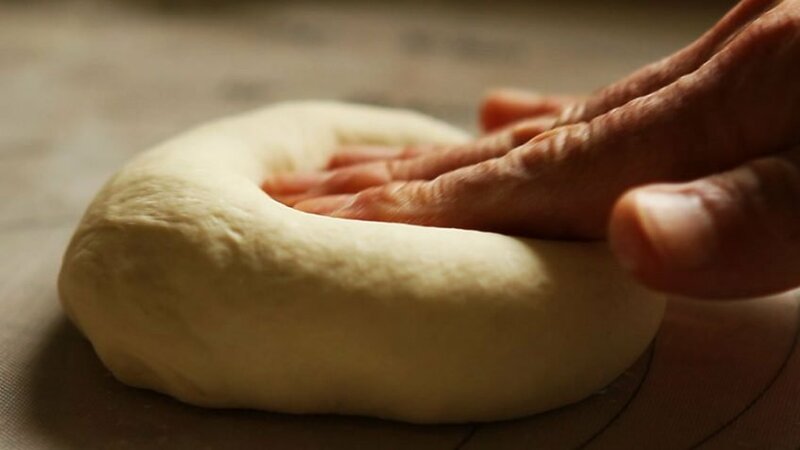 The dough is the hero, so don’t overdo it, or you want appreciate the irresistible taste it has to offer. In a powerful electric mixer with a large mixing bowl, add the flour. Add the warm water and yeast in a separate bowl, mix well and add to above mixer bowl. Add the salt, ¼ cup olive oil and use the dough hook attachment. Beat for 8 minutes on low or the knead setting. If you don’t have an electric mixer, then knead by hand. You can see my hand pizza dough recipe for more info. Remove bowl from mixer, cover the top with a lid or cling film and leave to rest in a warm spot for 60 to 90 minutes. 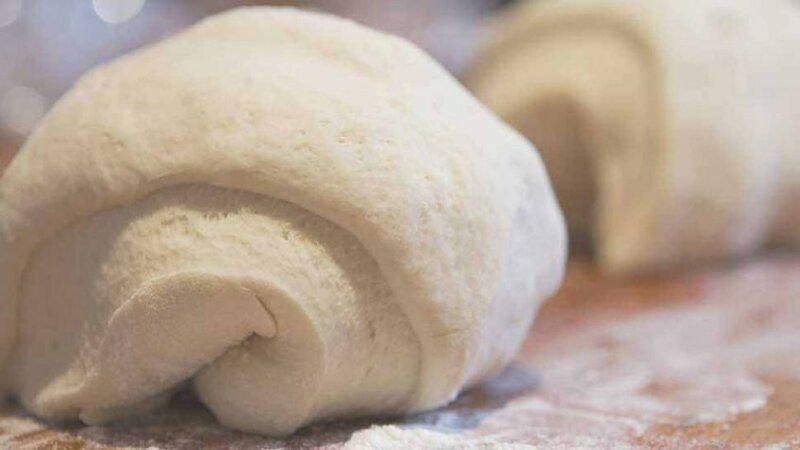 The dough should have at least doubled in size, transfer to a flour dusted bench, shape it into an even cylinder and cut into four even pieces. Roll into bun shaped dough balls. Cover with damp cloth of cling film if leaving out longer. Otherwise either shape into a disc using your hands or roll using a rolling pin into an approx 10 inch size. 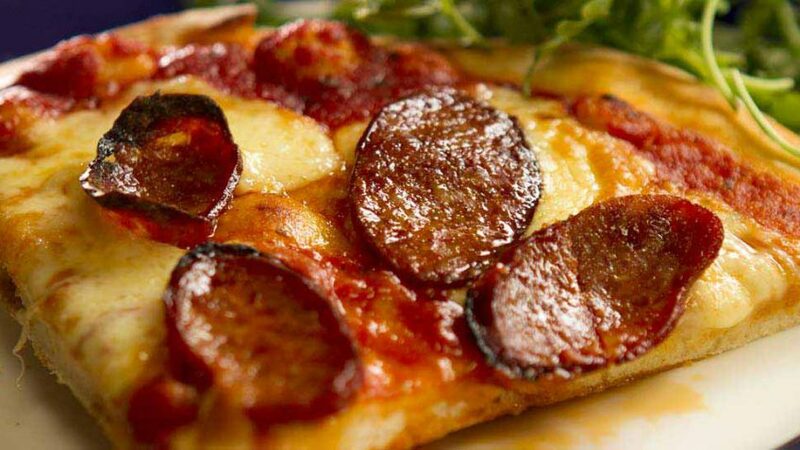 Gently place the pizza dough you rolled out, into the hot oil splashing away from you as you add it to the frying pan. Using kitchen utensils, check the bottom, once it reaches a nice brown colour, flip over and cook other side. Remove and place on a rack or absorbent paper. Cut the garlic cloves in half (You don’t have to peel them, your option) and rub as much of the pizza base with the cut side of the garlic clove. This gives it a subtle garlic flavour without overpowering. 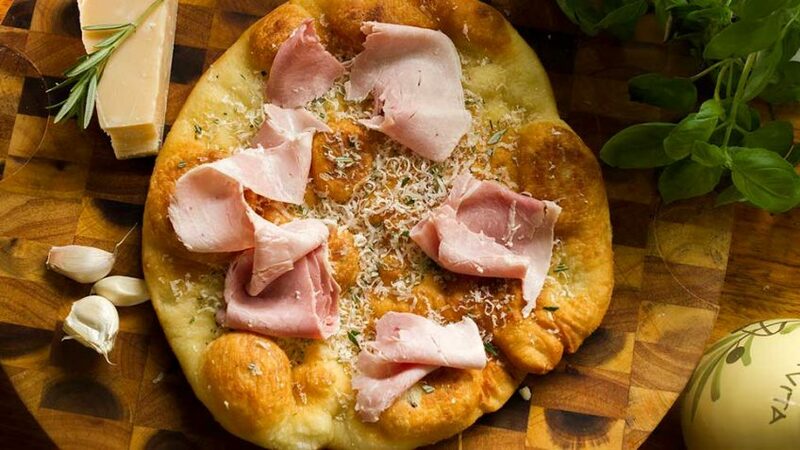 Grate the Parmesan cheese and sprinkle over pizza base along with the chopped the rosemary, and 4 slices of ham per pizza. Serve the base still hot as a traditional pizza, or fold in half and eat like a sandwich.